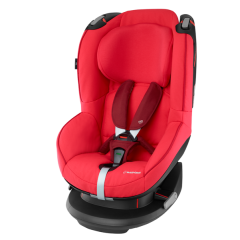 Make the most of every car journey with the safe, smart and practical Maxi-Cosi Tobi toddler car seat. Forward facing, it's high up seat is ideal for young minds curious about the world around them. Riding in this elevated position makes it even easier to spot things and learn on every journey. With a choice of five reclining positions, the upright position makes the most of the view. Or use the easy handle to adjust for a more relaxed approach or to have a nap. 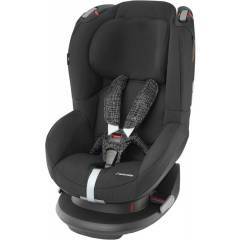 Suitable for ages 9 months to around 4 years (9-18kg), Tobi complies with strict European car seat safety regulations. There’s also side impact protection, for added reassurance in the case of a side-on collision. Easy to install, a clearly marked route means it fits simply and securely using your car’s three-point seat belt. And there’s a belt tensioner for a reassuring secure fit. 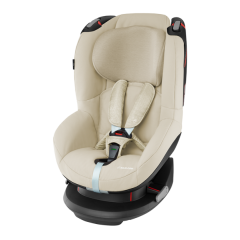 The Maxi-Cosi Tobi easily adjusts as your child grows so they remain comfortable and you are confident of optimum safety. Using just one hand you can adapt the fit of the headrest and harness at the same time. 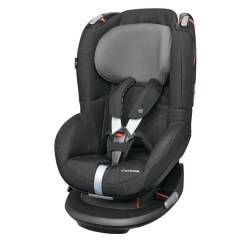 For ease, the harness is spring loaded to keep straps out of the way when your child gets in and out. And there’s a colour indicator that lets you know if the harness is secure for added confidence. Smart and stylish, it’s made from premium fabrics to look great in your car. A wide range of handy accessories, such as extra seat covers, are also available.